Backtracking to early morning one day this week, I opened the blinds to find the sun glaring and a dusting of snow sprinkling the ground. I was eager to rush through my ritual of exercise. a hot shower to relieve the pain in my lower back. 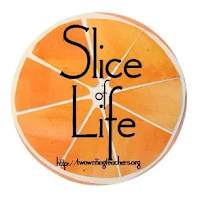 and a quick bite before heading out for my yoga class. The short walk from the car to yoga, a normal part of my routine, was going to give me time to notice my surroundings and wonder. This day was like any other day except my time was limited. I hopped in the car and set off yoga. When I arrived in the vicinity of the studio, I searched for a space to park. When I finally found one, I looked at the time. It was nearing the opening of the class. Trying to stay warm, I moved at a quickened pace. I knew that I did not have time to linger but I saw an usual sight as the sky turned a hazy shade of winter. The snow dustings I observed earlier in my neighborhood were curbside patches of snow. Each patch was mixed with water, crunchy left-over leaves, and debris. My curiosity was aroused. I needed a better look. When I paused, the camera phone came out. Two quick photos helped validate what I observed. Feeling that I captured a different look of winter, I headed off toward the yoga studio. Later during the day, I took a look at the photos. I captured gray day remnants from the overnight snowstorm. They did not have the beautiful fresh snow look but they were real, making me realize that even gray days can inspire. 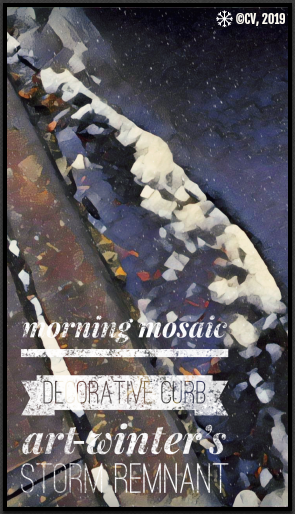 I transformed the ordinary into a piece of digital street art thanks to the suggestion of an Indiana colleague, Jennifer Sniadecki, to try a new photo-editing app, Prisma. At my prompting, Jennifer sent me her digital art created with Prisma for my upcoming gallery, Winter's Embrace. Her photos will soon appear in the Twitter Repository, #WintersEmbrace2019. 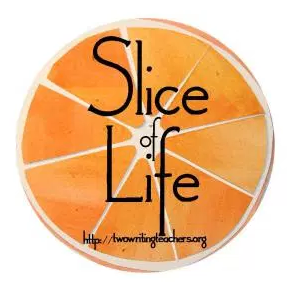 Join me at Two Writing Teachers for the Tuesday Slice of Life. I am also offering the digital to #MoPoetry2019 on Instagram.